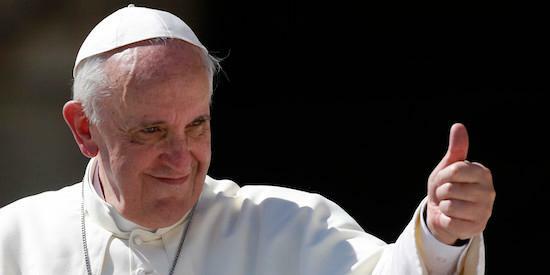 In news that nobody was expecting, Pope Francis is set to release an album apparently influenced by prog rock. The album will be led by single 'Wake Up! Go! Go! Forward!’ which you can listen to here, via Rolling Stone. The song was composed by Tony Pagliuca, who tells Rolling Stone: "“Putting my music in the service of the words and the voice of Pope Francis has been a fantastic experience and a very interesting artistic challenge.” The album, entitled Wake Up!, is out on November 27.